about some foundational issues in the way the field has developed. The quantum world apparently exhibits a number of strange properties, including randomness, complementarity, wave-particle duality, and nonlocality. 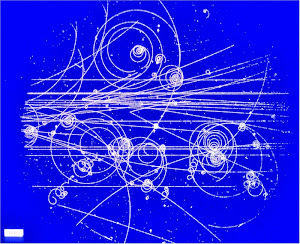 Virtually every major figure in the field has attested to the fundamental incomprehensibility of this world, e.g., Feynman’s famous claim that “I think I can safely say that nobody understands quantum mechanics.” As I’ve delved deeper into the primary literature, I can see why: the verbal descriptions of quantum physics in introductory material are often completely at odds with the actual mathematical and conceptual frameworks that experts actually use (e.g., Klassen, 2011), and these frameworks are obviously just calculational tools, rife with virtual, non-physical entities and gratuitous non-localities. But in this primary literature, I also found the apparently neglected work of a number of physicists, that seems to paint an entirely sensible and comprehensible alternative, physical model. This physical model is based entirely on the ontology of waves, which is (to my surprise) in fact the effective ontology of the vast majority of the mathematics of QM (Nikolic, 2007), despite the seemingly perverse continued insistence on describing things in terms of particles. Doing away with particles entirely seems to resolve a large number of apparent paradoxes and fundamental confusions. 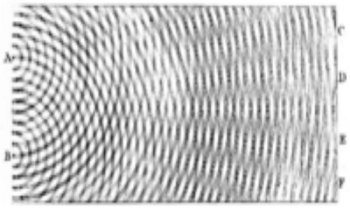 To make this pure-waves viewpoint work, one still needs to wrestle with a number of unsolved problems, but there are plausible solutions to each of these problems, even with the tiny smattering of attention they have received. The prospects of obtaining a sane and comprehensible quantum worldview would seem to be sufficient motivation to put significant effort into solving these problems. I have come to similar conclusions. A basic premise of quantum mechanics is wave-particle duality, which means that electrons and photons are not really waves or particles, but show properties of both. The quantum paradoxes all start by assuming that electrons and photons are particles, not waves. They are certainly not particles in any ordinary sense of the word. You can treat them as particles for some purposes, as long as you also apply the uncertainty principle and other quantum ideas. When it comes to foundational issues of quantum mechanics, the particle model may be more trouble than it is worth. Stop calling them particles, and maybe you will be less confused. As a scientist but not a physicist I've arrived at the same conclusion. Particles seem to become embedded in the language when we speak of an atom absorbing a photon rather than a quantum of energy.